Love these photos and love the project! I think this is such a sweet project and the photos are great. Just beautiful! For as much as we love winter (and we *love* winter) spring will be very welcome too! We have a two picture moment this week as well! They both just captured our week too perfectly! Have a wonderful weekend and a very Happy Valentine's Day! 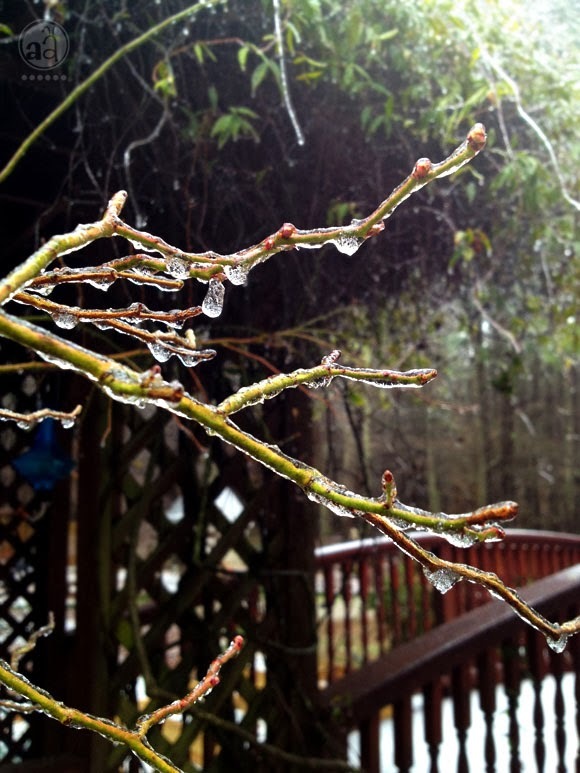 Love the ice on the spring branches we had a similar scene last week! What a beautiful pair of photos... I love the subtle sunlight in both.